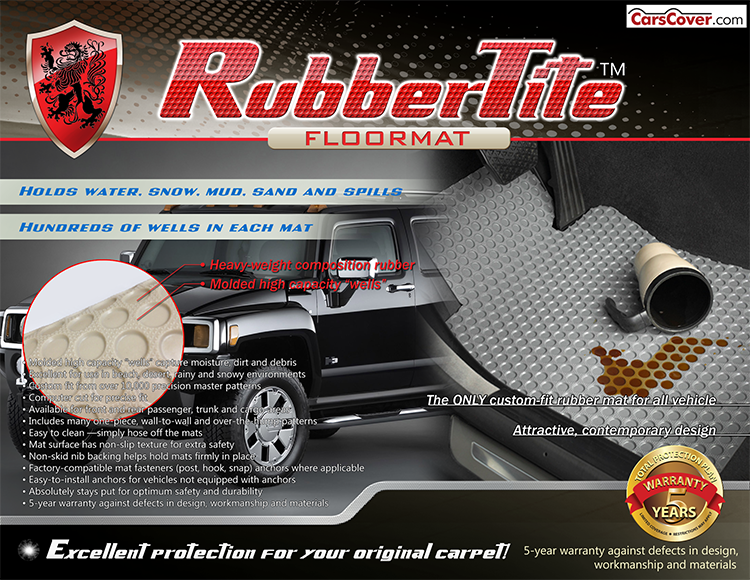 Great capacity to hold water, snow, mud, sand and spills with hundreds of "wells" in each mat, Our Rubbertite custom fit, all weather mats are perfect for all season use. This exceptionally durable, heavyweight composition rubber stays flexible in sub-freezing temperatures. Rubbertite Mats provide excellent protection for your original carpet and clean easily with the spray from a hose. Rubbertite Mats come equipped with factory compatible anchoring devices, or Lloyd's easy to install anchor hooks. 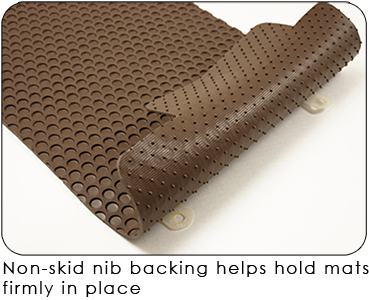 Rubber nibs on the back provide additional traction to keep them in place, while the textured surface offers additional non-skid safety. 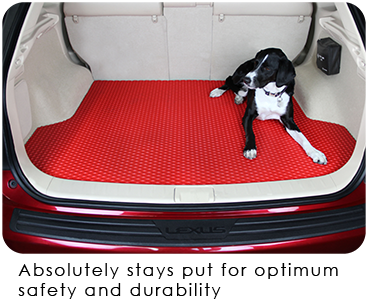 Rubbertite Mats are available in over 10,000 exact fit patterns that cover virtually every car, truck, SUV and van sold in the U.S. since 1950. Choose from Black, Grey, Light Grey, Tan, Ivory and Crystal Clear. 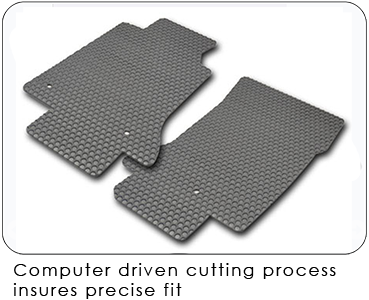 Our Mats exclusive -the ONLY custom-fit rubber mats for all vehicles. 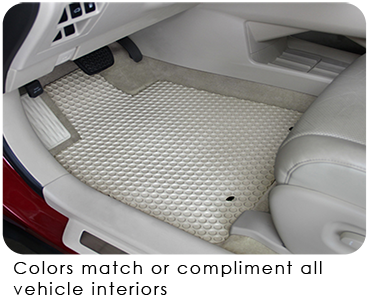 Attractive, contemporary design mats protect factory carpeting from water, sand, dirt and spillage while complimenting the interior.